One of my favorite Spring activities is to get up early on the weekends (well, early-ish, it is a weekend! 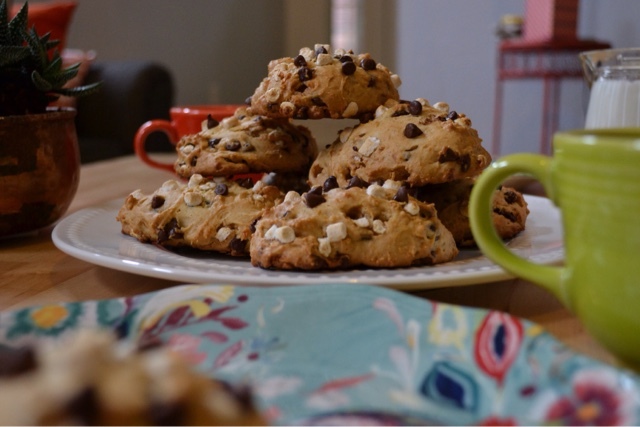 ), grab a cup of coffee & head to the farmer's market. 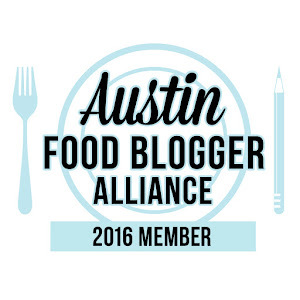 It's a great way to spend a few hours & we are so fortunate in Austin. There are so many markets to choose from, most are open year-round & there is such variety in the produce & handmade goods you can get! It's really amazing how many delicious, fresh meals you can make with one trip to the farmer's market. 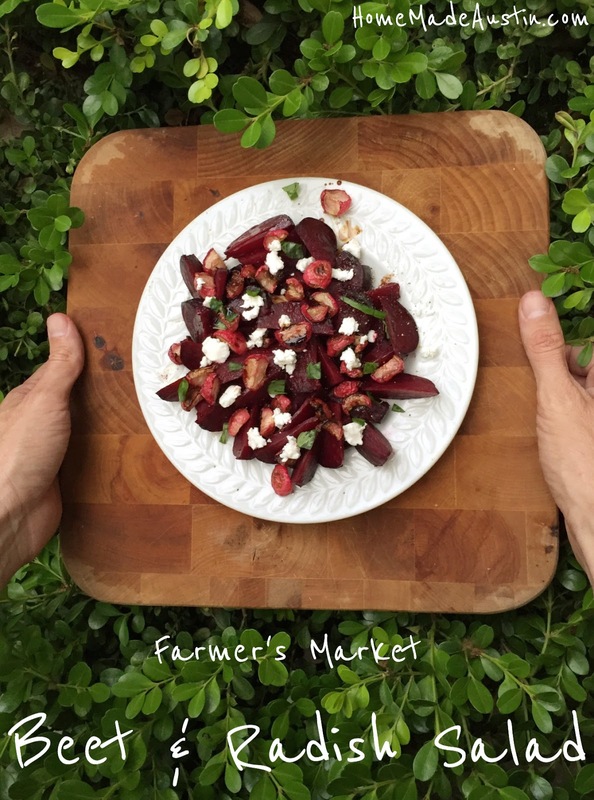 After grabbing a big bunch of beautiful, deep red beets & some radishes (my new favorite veggie to roast) at the markets last week, I came up with this fun, flavorful salad. I know, this isn't breaking any molds or incredibly inventive, but it's insanely good. 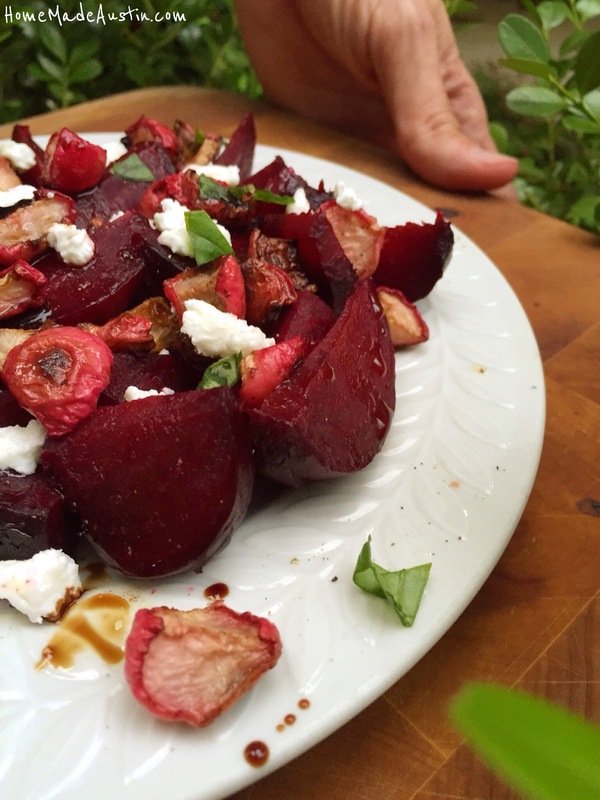 Roasting brings out such rich flavor in the beets & the radishes crisp up so well. Top that off with creamy goat cheese, fresh basil & some really high quality, sweet, thick balsamic vinegar we got from a recent trip to Boston (food makes the best souvenirs!) 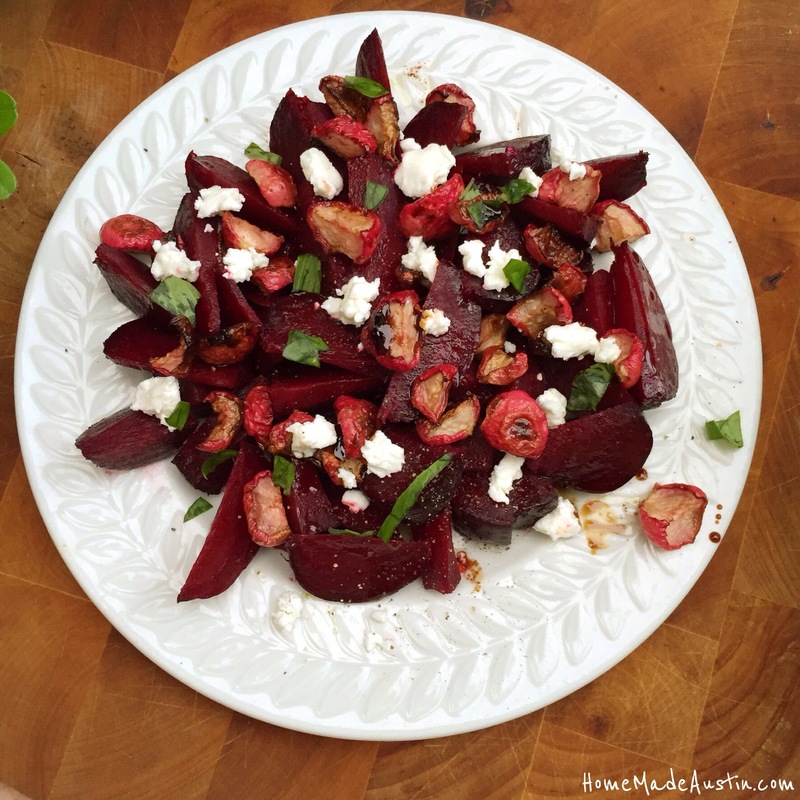 & it makes for a decadent yet simple salad. 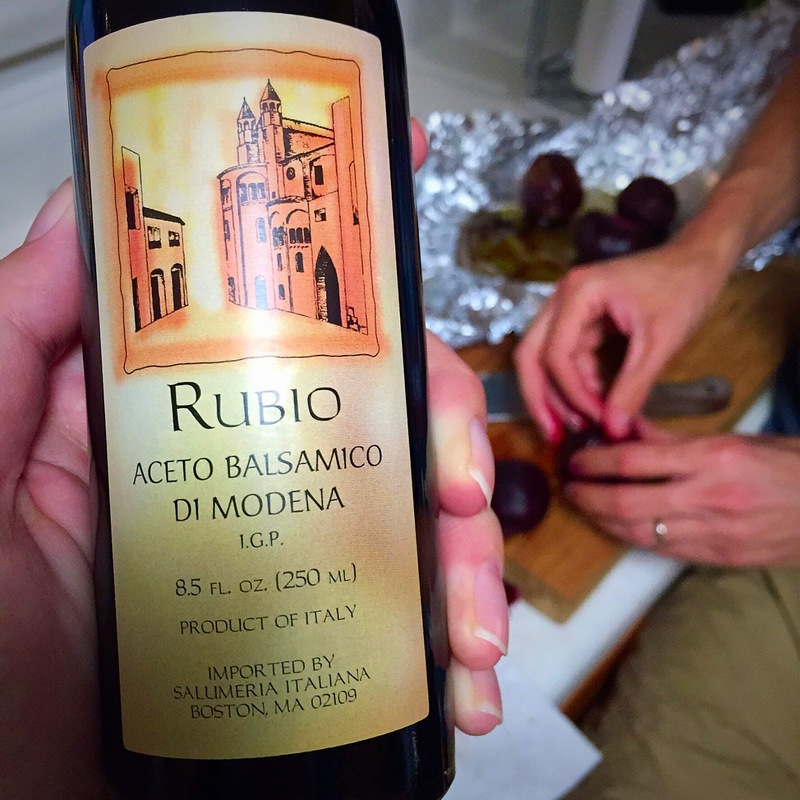 Rubio Aged Balsamic Vinegar from Salumeria Italiana in the North End of Boston. Amazing stuff. Preheat oven to 375 degrees. Take heavy duty aluminum foil & make a pouch for beets. 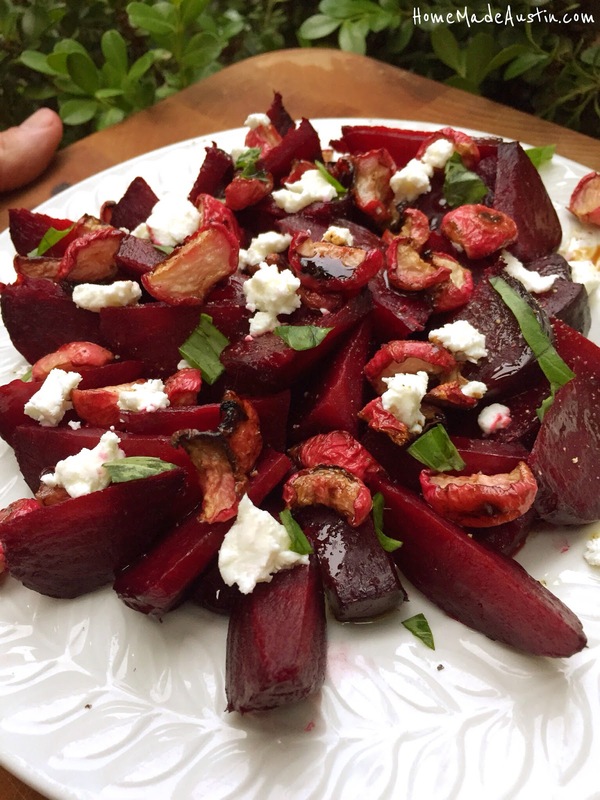 Place trimmed, whole beets inside, sprinkle with salt & pepper, drizzle with olive oil. Roast for 45 - 60 minutes, or until tender. Place quartered or halved radishes on a lined sheet pan, drizzle with olive oil, sprinkle with salt and pepper. Roast for 20 - 30 minutes. After beets have roasted, very carefully (they will be hot, hot!) peel the beets. You can use paper towels or the foil itself to help rub the skins off of the beets. After peeling the skin from the beets, dice. 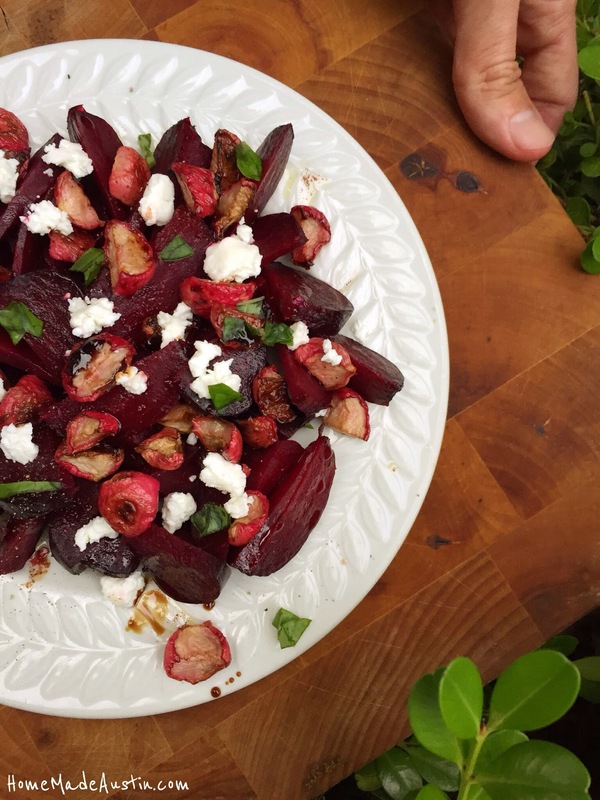 Arrange beets and radishes in serving dish and drizzle with olive oil & balsamic vinegar. Garnish with dollops of goat cheese & season with salt, pepper & torn basil leaves.